A miter joint is a type of a joint that is used for joining two edges together to form a corner. The edges of the two pieces that are to be joined through a miter joint have to be cut at 45 degree angles and then joined together to make a right angle. 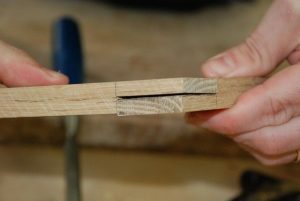 A miter joint is generally used for constructing boxes where in the sides of the box have to be joined together to form corners while hiding the edges. A miter is usually not that strong a joint when it comes to woodworking. However, there are ways through which a miter joint can be strengthened. Why Use a Miter Joints? Plywood edges are very disconcerting and do not look that attractive as they show the plies that have been joined to make the plywood. Thus, it is best to cover any exposed edge of the plywood such as the case in beaded plywood ceiling at the juncture of the ceiling and the wall. This is where a miter joint on plywood can come in handy. Although it might have to be reinforced somehow but the miter joint can help in hiding the edge of the plywood and only give the observer the chance to view the veneer instead of the plies of the plywood. Usually crown molding is used for this purpose as well but it too requires a miter cut. Before we go on to understanding how a miter joint can be made on plywood, it is imperative to learn how to make a miter cut on plywood first. Making a miter cut is not a difficult thing if you have the right equipment available to you. For instance a miter saw set at 45 degree angle is the best means for making an accurate miter cut. However, if you do not have a miter saw than you will have to make use of a table saw or a very accurate track saw for making the miter cut. 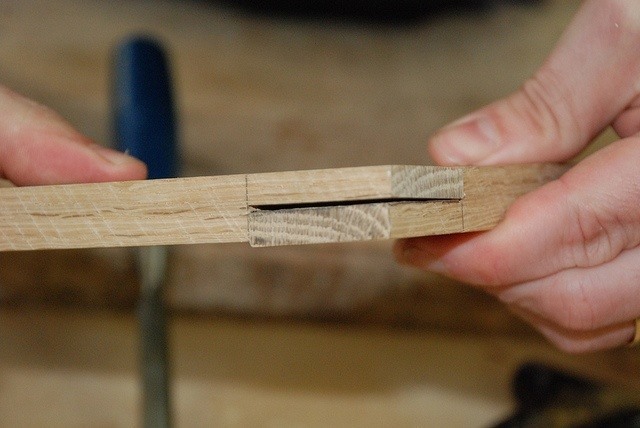 It is important to be careful when making the miter cut as it will make the edges very fragile. 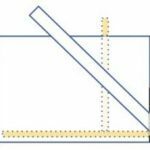 Having made the miter cut on both the edges of the plywood that you are trying to join together forming a miter joint, it is time to join the two edges together using an adhesive. However, the joint is not going to hold only because of the glue as the joint would be very weak. In order to strengthen the miter joint on plywood, experts recommend the use of a square block of wood as a support for the joint. However, such a supporting block of wood can only be used in making boxes where the interior is hidden from view. In case of miter joint being place on a ceiling and wall juncture, there is a need for a spline to be made in the miter cut or to make a compound miter cut to strengthen and hold the joint.